This combination photo shows singers Kesha, left, and Bob Dylan, who have reimagined songs to honor the LGBTQ community for the six-song album, “Universal Love,” released digitally Thursday. 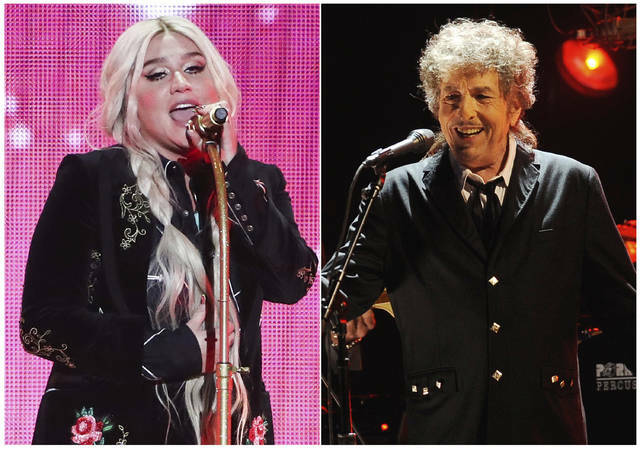 NEW YORK — Bob Dylan, Kesha and St. Vincent have reimagined popular love songs to honor the LGBTQ community, and the singers are doing it by switching pronouns. https://www.limaohio.com/wp-content/uploads/sites/54/2018/04/web1_120232183-acdc2f76292c4a5f8214f4209b63cf8c.jpgThis combination photo shows singers Kesha, left, and Bob Dylan, who have reimagined songs to honor the LGBTQ community for the six-song album, “Universal Love,” released digitally Thursday.